Thank you to everyone who said "what Nor'easter?" and joined us for Salon No. 5 at Lou & Grey's Flatiron store. For those who couldn't make it, keep reading — then let us alleviate your FOMO with some cool new ways to connect with the Novella fam. 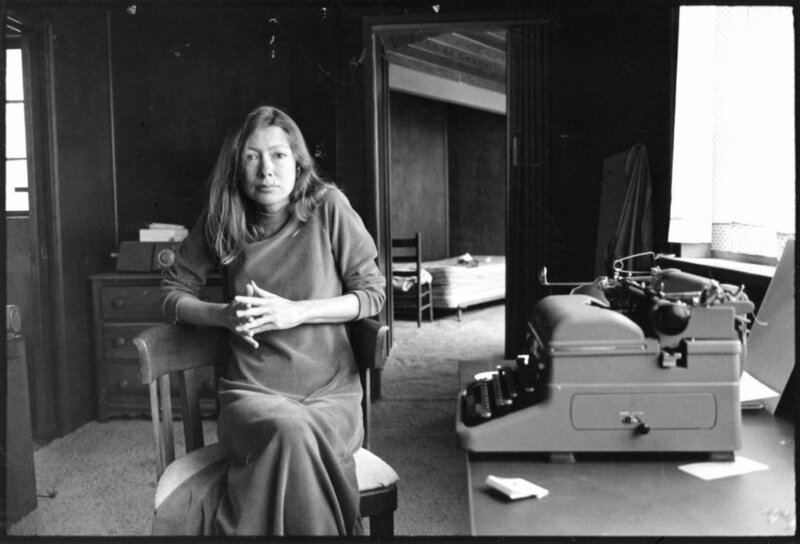 Joan Didion and her typewriter. Also, you after you take this Master Class. Remember that little ditty we wrote back in February about giving you more Novella in 2018? Well, we're making good on our word. 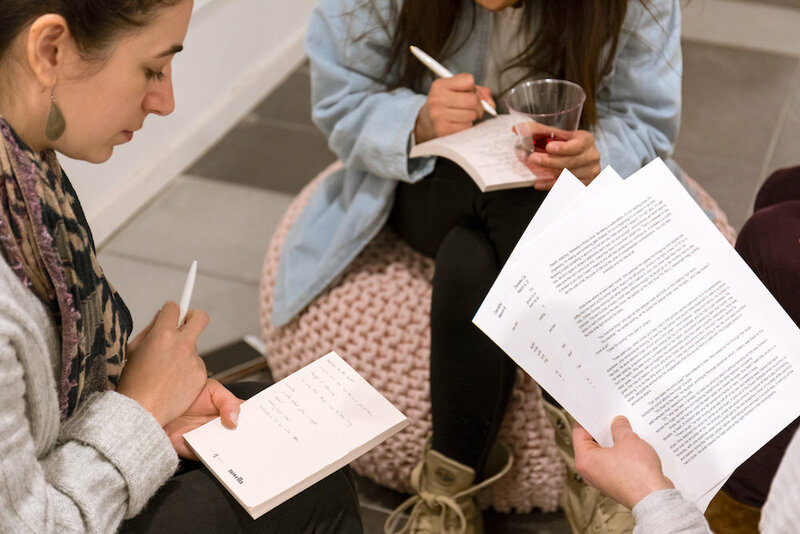 At our monthly salons, women have the opportunity to creatively express, connect, and mingle as we share our writing with one another. However, many of you have also told us that you'd like critique on your pieces, want to hear more feedback, or dream of walking in empty-handed and leaving with something tangible. SO! 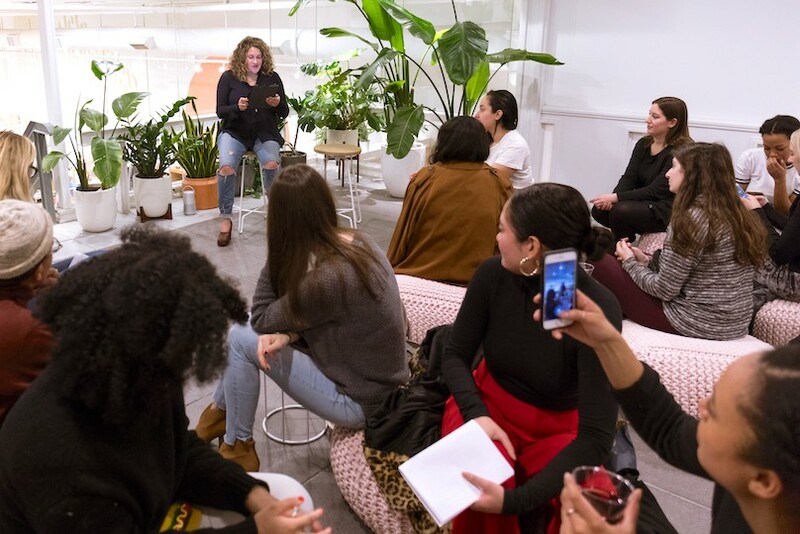 In line with our mission to create spaces where emerging female voices may flourish, we joined forces with the amazing publisher Catapult to host a one-day Master Class focused on crafting your personal narratives. (We are screaming as we type this!) And that's not all: who will you learn this valuable information from, you may ask? Katie Heaney! Author of Never Have I Ever and the newly-released Would You Rather?, Katie is a Novella favorite, a talented writer and, most importantly, an experienced instructor who is thrilled to share her writerly wisdom with you. If this all sounds like what you need right now, sign up here. PLUS: use the discount code NOVELLA for 10% off the class. April 7. 18 seats. Grab your spot here! By the time March rolls around, we're like "Winter? I don't know her," and graciously declining most activities that don't involve donning a Snuggie. But spring has a way of blooming when you least expect it — and this month, the women of Novella got ready by exploring what "Renew" means to us. Once again, we gathered at Lou & Grey's dreamy flagship store on 5th Avenue in Manhattan, caught up with old friends, and welcomed Novella newbies. 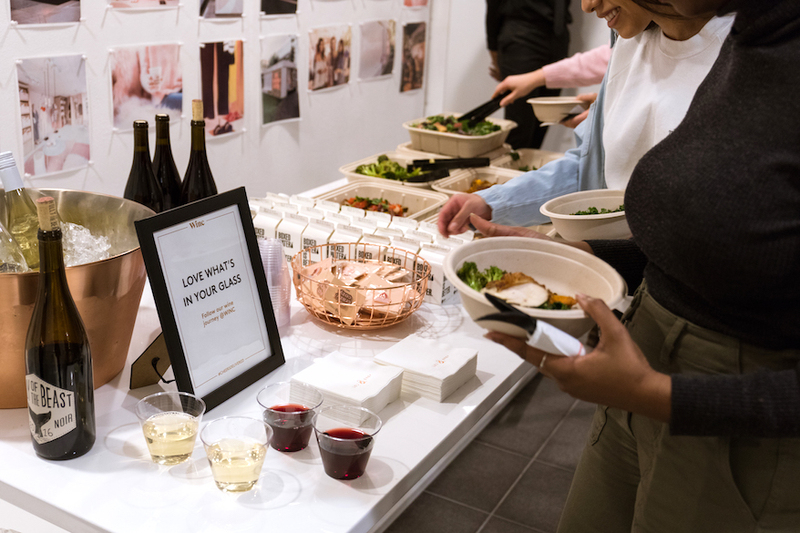 The sea of smiling faces, wine courtesy of Winc, and delicious bites from Dig Inn had us thawed in no time. After words of welcome from our founder (and birthday girl!) Abby Adesanya, we broke into smaller groups to read our work inspired by the theme of renewal. We heard essays on overcoming imposter syndrome in the startup world, a remembrance of how one woman's family started over after the death of her father, and some very real and hilarious observations on being a menstruating woman in yoga class. Then, our selected speaker took the stage. Xochitl Gonzalez, co-founder and strategist behind The Gate, read a laugh-out-loud funny piece about a woman's 60-something mother getting her groove back that proved love can animate you, no matter your age. As Questlove told the character in the story, "Life looks good on you." Finally, Abby shared some exciting news — Novella will be holding its first-ever writing workshop with our partners Catapult in April. Stay tuned for more details, and you can follow us on IG and join our Facebook Group to connect with the Novella community between events. 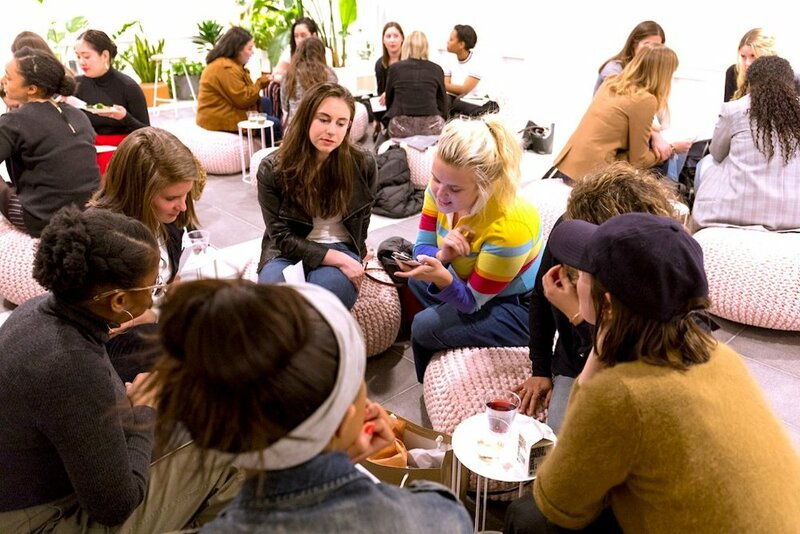 We know that RSVPs for our salons are filling up faster than ever, so we're dreaming up even more ways to connect. Thank you for being a part of this, and we look forward to seeing you again. Sign up for April's Master Class here & stay tuned for more salon news!